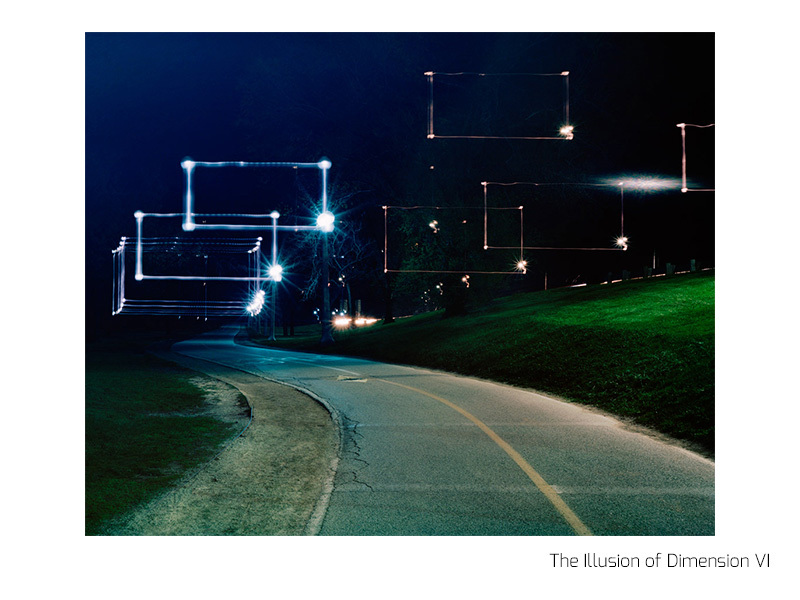 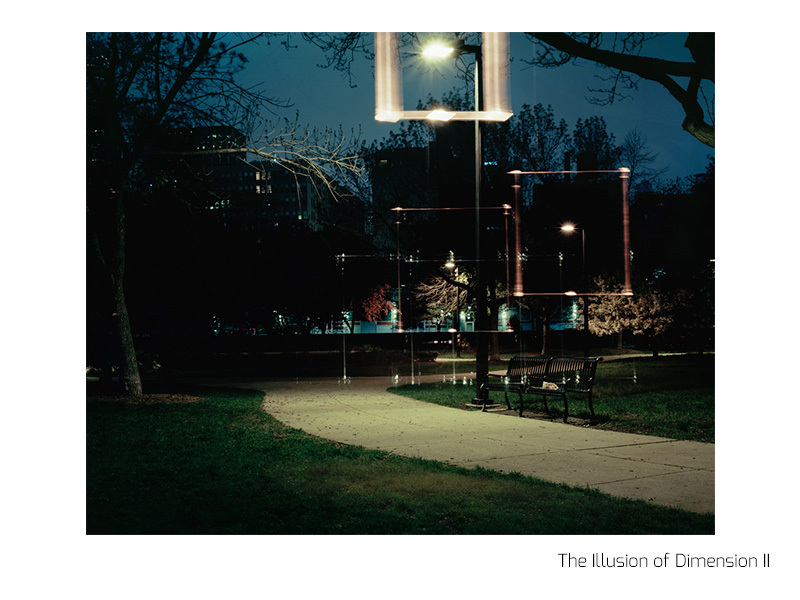 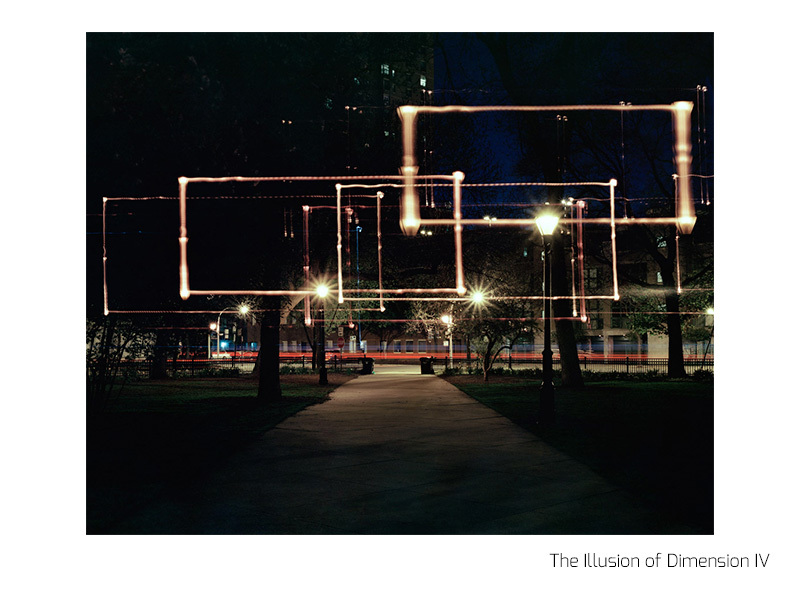 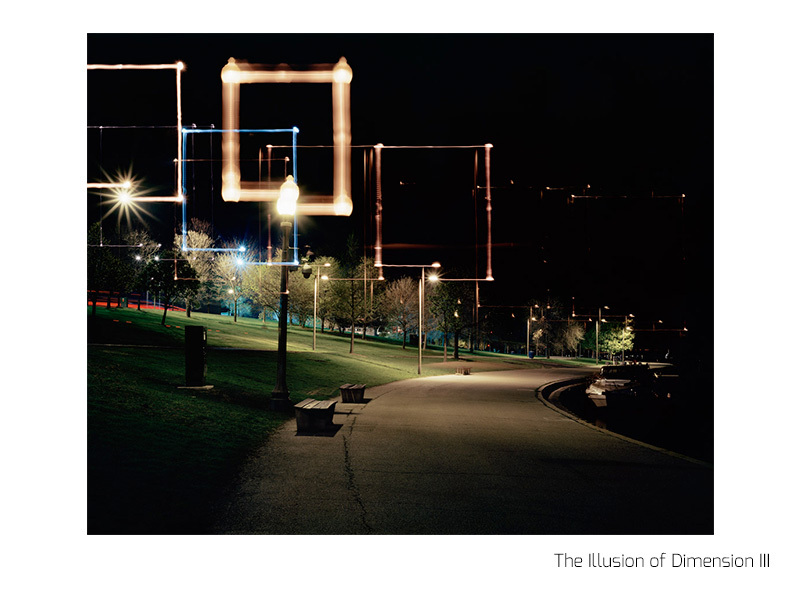 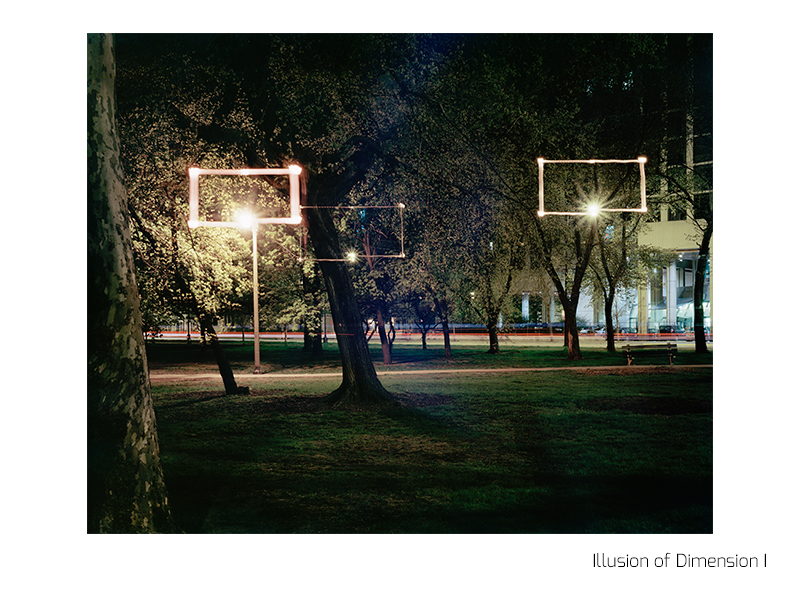 The Illusion of Dimension is a series of photographs examining the very nature of visual perception. 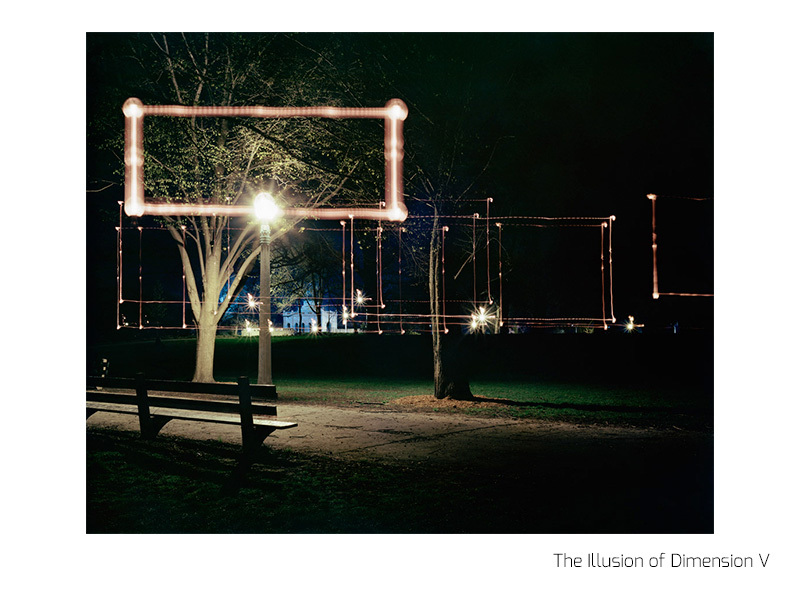 Human beings perceive depth as a product of stereoscopic vision; without it, the world would appear to be a singular plane at any given point. 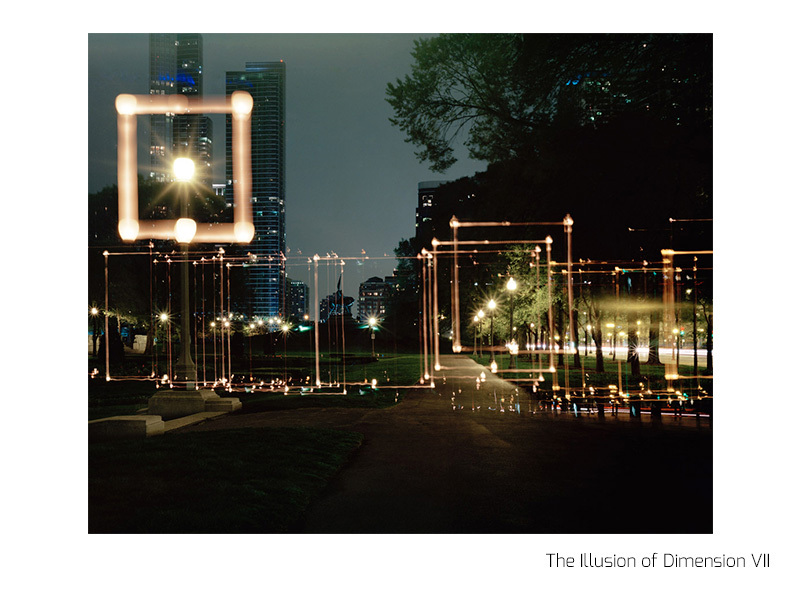 Each image is a reminder of the plethora of two dimensional planes that make up our three dimensional perception of the world.